Apple branded OEM Pioneer DVR-K04 slimline, slot loading multi DVD single and dual layer burner. 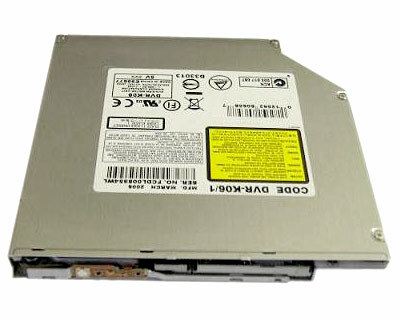 This drive can be used in the 12" & 14" iBook G4, Titanium (replacement brackets & cable may be required for earlier Titanium models), Aluminium 12", 15" & 17" PowerBooks, iMac G5, Mac Mini and in the MacBook Pro 17". This is a used and tested part from a recycled iMac G5.